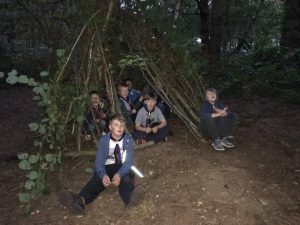 1st Welwyn CUB Scouts is open to children aged 8 to 10½ years old. We meet from 6.45pm to 8.15pm on Tuesdays in the Scout group HQ on Lockleys Drive in Welwyn. Cub Scouts love fun, adventure and friendship. 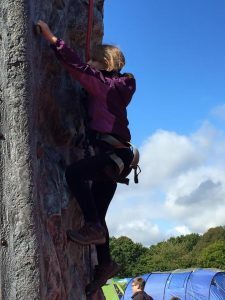 They take part in an active programme that includes subjects as diverse as pioneering (building structures from poles and rope), caring about people and animals, creativity, outdoor activities and global awareness. 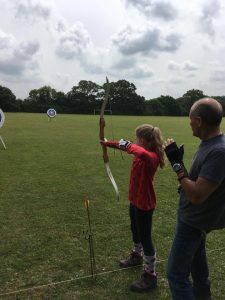 They learn through a variety of challenges, visits, themed evenings and activities, such as the ever-popular camping trips! As they grow up, Cubs are encouraged to progress in their Scouting by working with younger Cubs and helping Leaders to choose the Pack’s activities – and always earning badges to put on their uniforms. 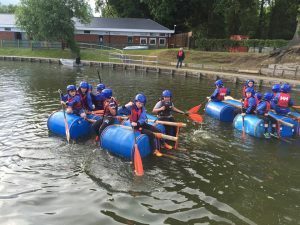 Cubs using the raft they built. Cubs wear a dark green sweatshirt with navy blue activity trousers plus the 1st Welwyn scarf and a woggle, which will be provided when your child is enrolled if he has not come up through Beavers. Your leader will advise about where and when to buy a uniform.